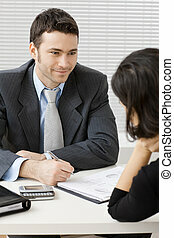 Business consultant. 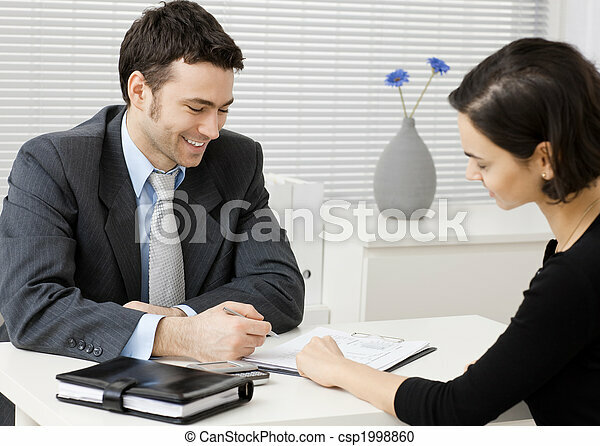 Happy young adviser businessman consulting at office, smiling. 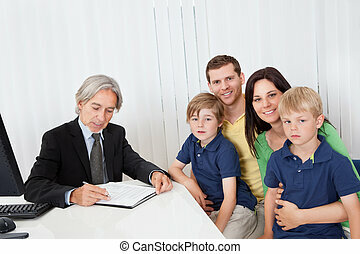 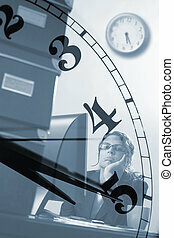 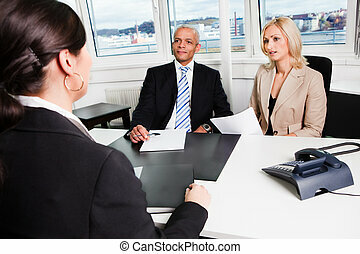 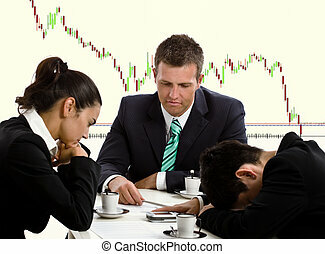 Disappointed businesspeople in financial crisis. 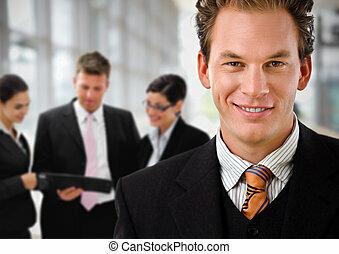 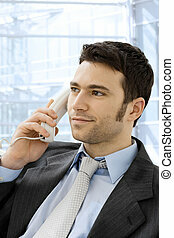 Young smiling businessman calling on phone at office. 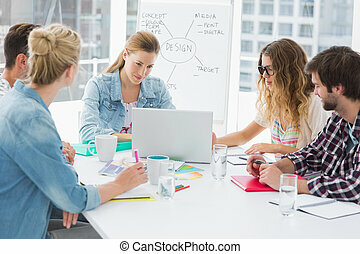 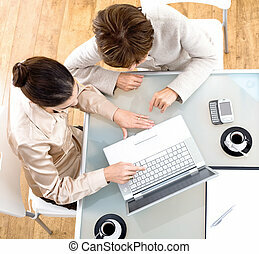 High angle view of businesswomen working together on laptop computer at office. 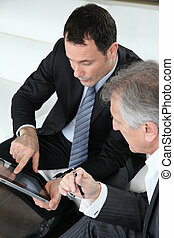 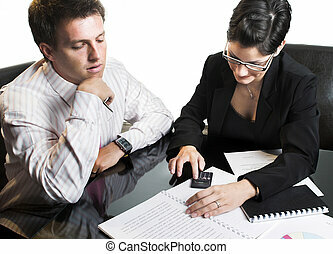 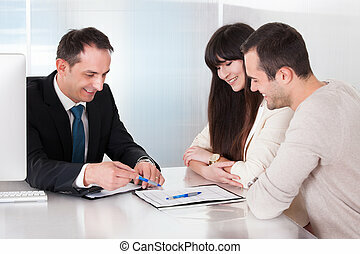 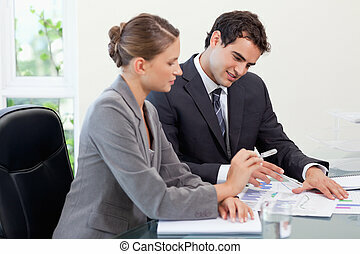 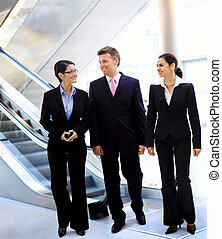 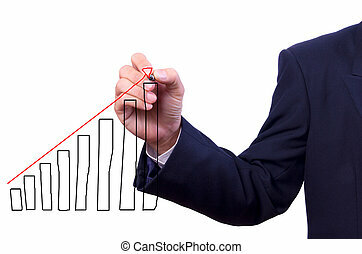 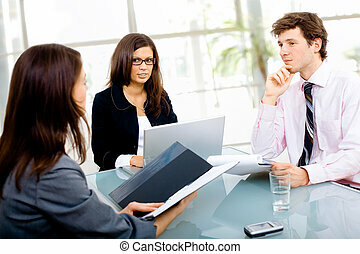 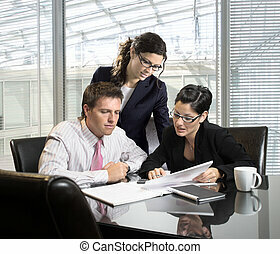 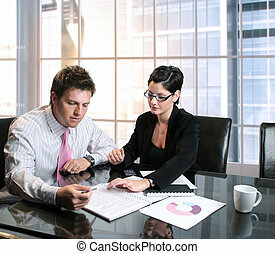 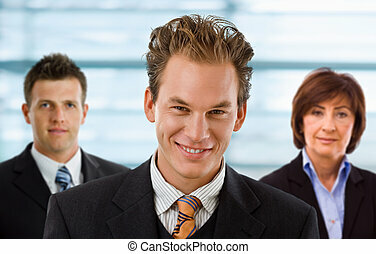 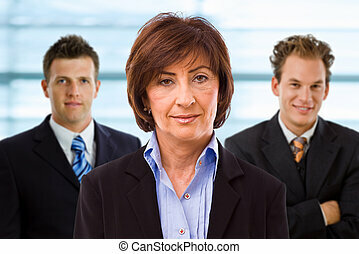 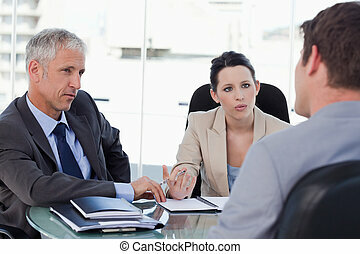 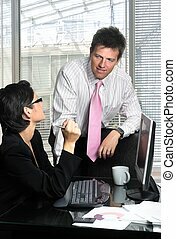 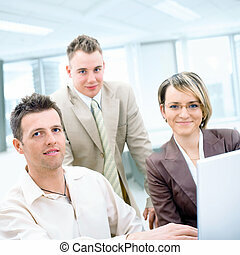 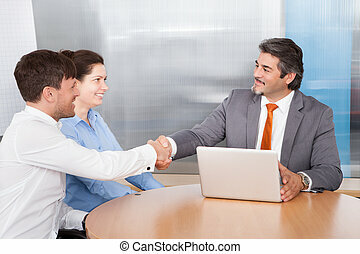 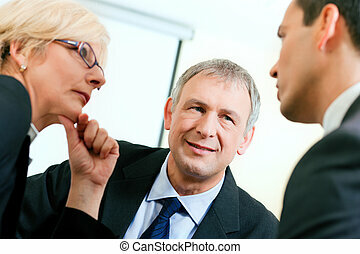 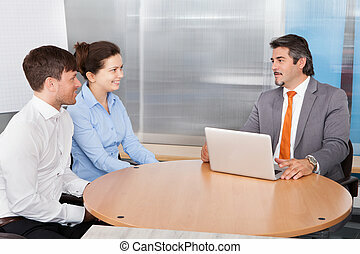 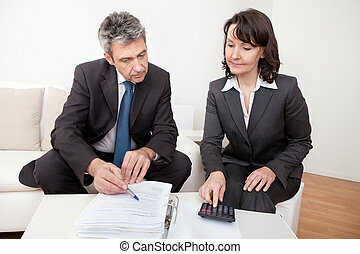 Satisfied business executives looking at notebook working together.